Growing up in Massachusetts, you're automatically a Pats fan. Whether they have a winning or losing season, we stick by them through thick, thin, "spygate" or "deflate-gate". I choose NOT to get involved in discussions about "scandals" and prefer to focus on the Game of Football! I'm by no means an expert on the game, but I enjoy watching (and not just the players butts either lol). Now I know many of my fans, followers and customers have no interest in the game other than the commercials - (look towards the end for a special Blog giveaway regarding the commercials!) 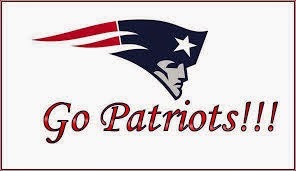 so I won't bore you all with any more #Football talk about my beloved #NewEngladPatriots !! For those who watch #PuppyBowl - be sure to check out my cute and funny dog tags in the shop. Profits are donated to Barks of Love Animal Rescue! I have a special #SuperBowl Auction in my group today. It ends at 10pm CST. Lots of great items for Valentine's Day! Ok - Super Bowl commercials - other than the Half Time Show, it's what people outside of football love about the game. So I want you to comment with your favorite commercial. One lucky commenter (there must be 10 comments or more for the giveaway to be held so share this with your friends!) will win a $10 Gift Certificate! !